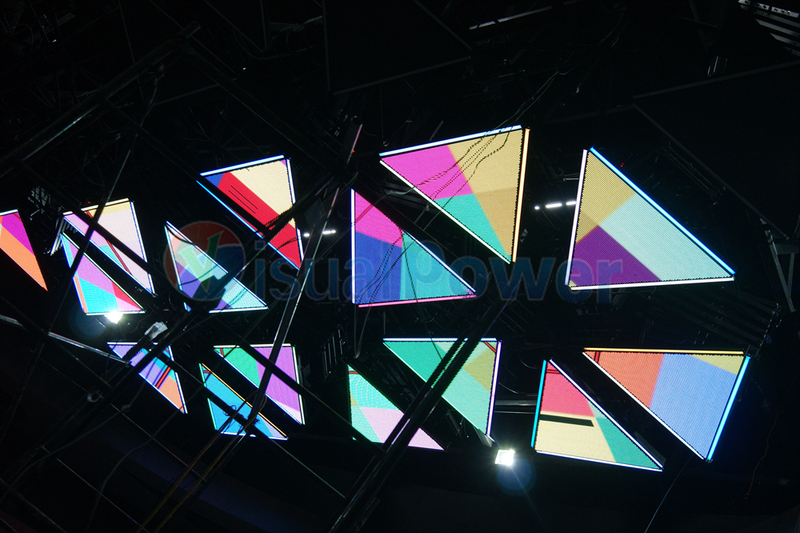 Diamond shape led display is a 3D design, it is not flat shape led display, all the led modules are in a 3D shape. by basic shape led modules including triangle shape led module and pyramid shape led module. 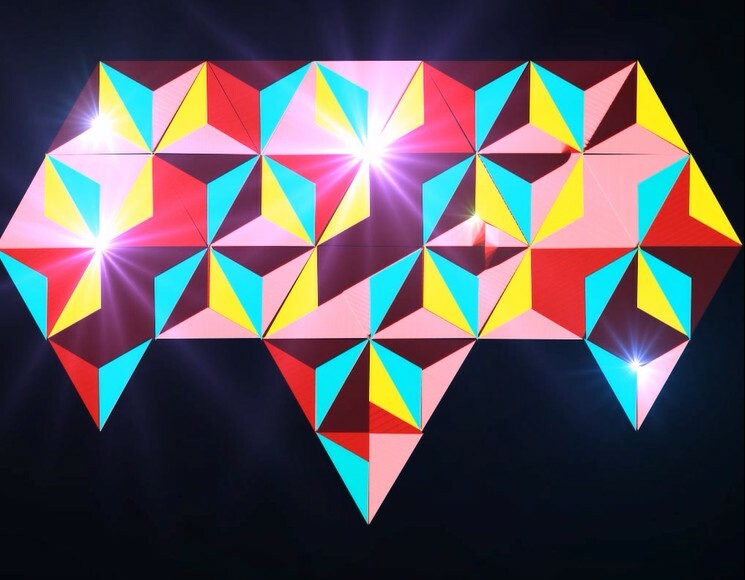 Plus video mapping, it can show stunning display effect. 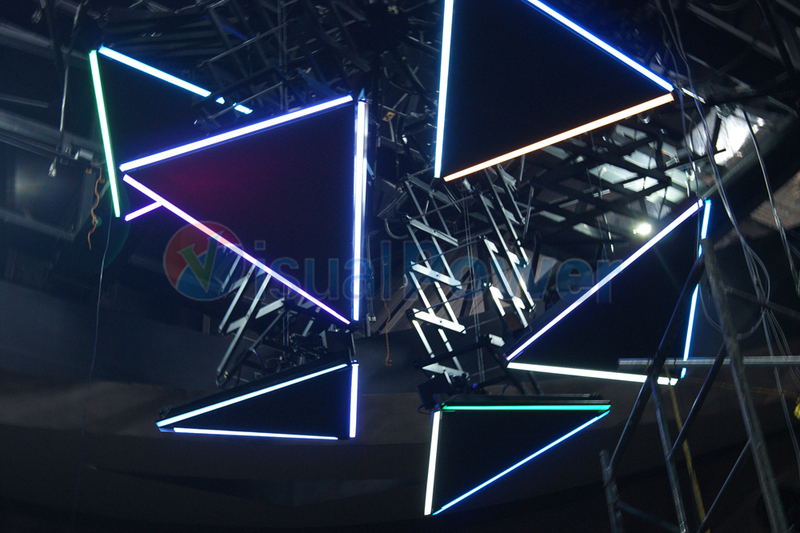 The whole display is composed of many pyramid shape led cabinet which is formed by many triangle shape led display modules. Such design has totally blowed people's mind over. Why screens should always be flat! 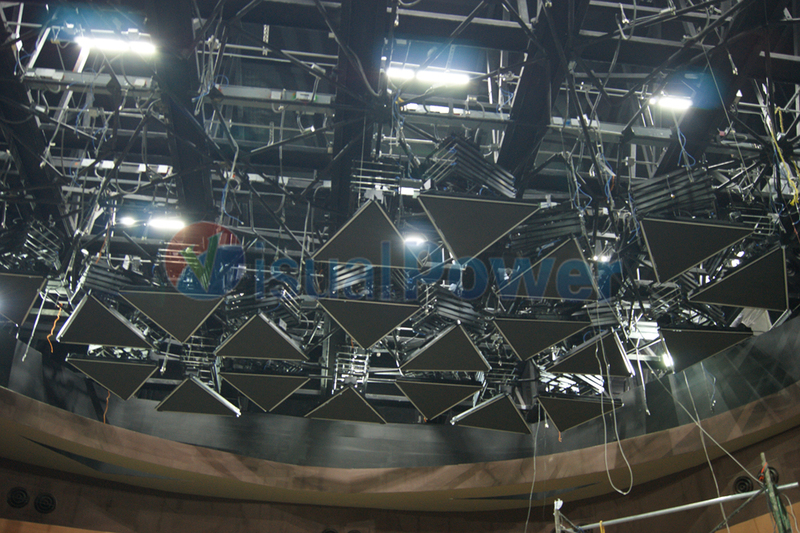 Nowdays, by Visualpower's design, led screens can be made into any shape and structure, there is only things that you can not imagine, but no things that we can not do. Just give us your idea an we can display it!